Until I started dating Lu, I never really gave plantains much thought. One of the few times I’ve ever seen him use our stovetop (and when I mean few, I mean 2-3 in total), it was to boil plantains for breakfast. What kind of girlfriend who I be if I didn’t try to spiralize a plantain for my Caribbean-born man? Well, it’s possible and the plantain works famously as rice. Hence, today’s plantain rice and beans. Actually, I made a sofrito with lightly fried plantains over the summer and man, were they outrageously tasty. But, never did I make a recipe for spiralized plantain. 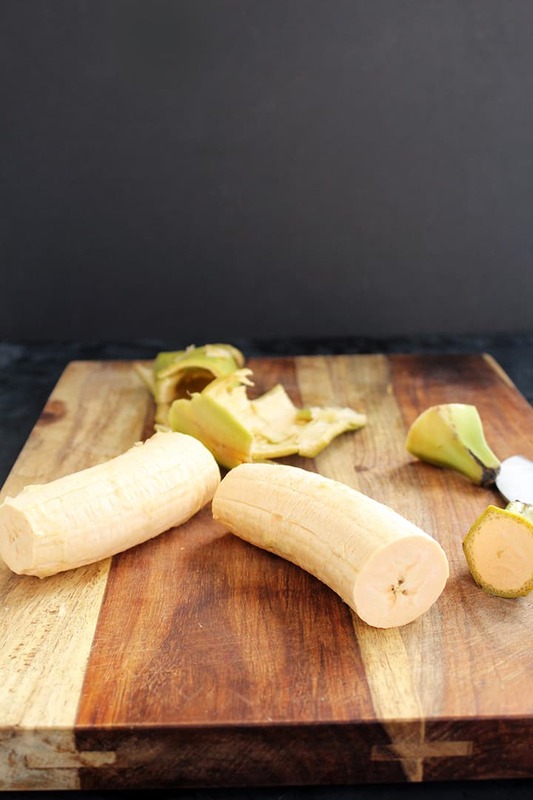 In the banana family, plantains are higher in starch and lower in sugar than bananas. 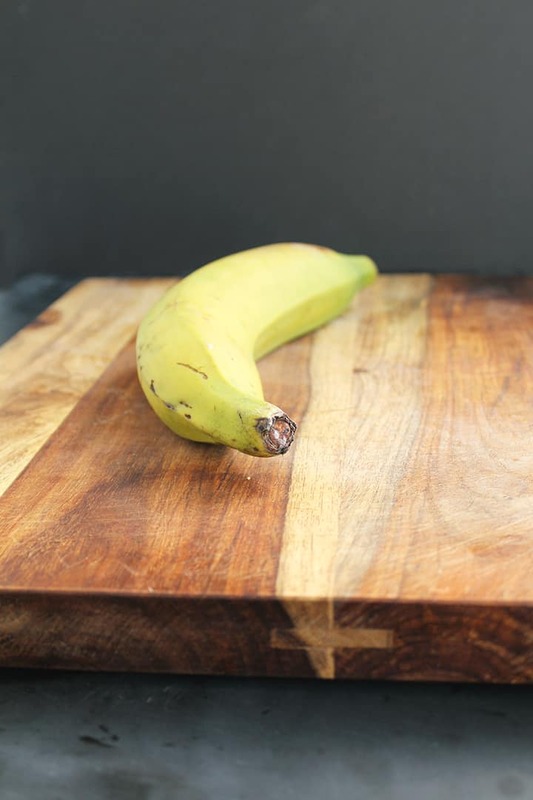 When plantains are fully ripe (yellow like a banana), they’re sweet. When they’re unripe (green), they’re used for savory cooking. 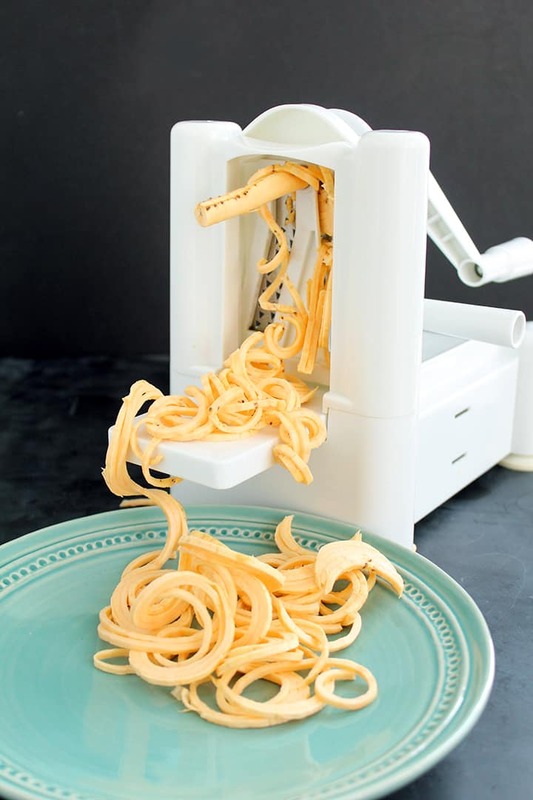 Since they’re so starchy, they’re sticky when they come out of the spiralizer. Unfortunately, they’ll fall apart if you boil them. They’re truly mind-blowing as plantain shoestring fries (fried or baked). 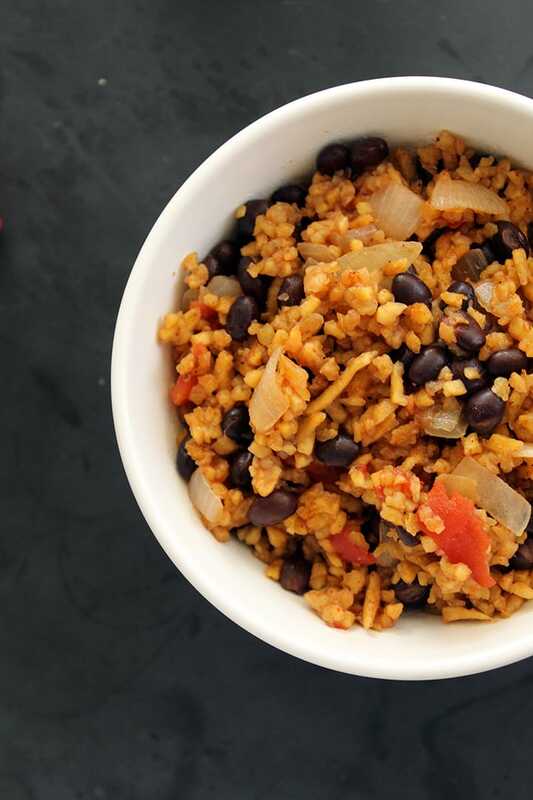 But, since bikini bodies are made in the winter, we’re laying off the frying and opting for Inspiralized rice. By spiralizing the plantain and placing its noodles in a food processor, we get fluffy and sticky rice that has the savoriness of plantains. For my first dish with plantain rice, I figured I’d keep it simple and do a tomato rice and beans, simmered with chicken broth. 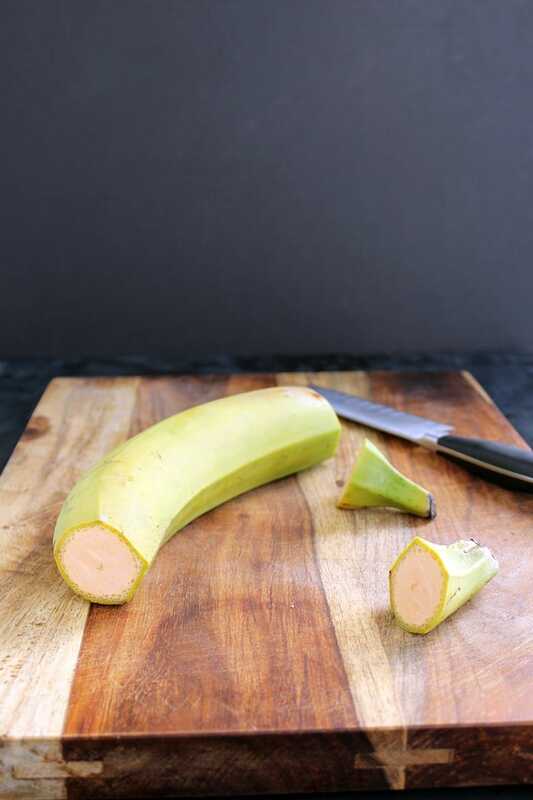 This way, the plantain taste really shines through. It’s very important to choose your plantains for spiralizing wisely. Most plantains are curved and not straight. However, if you search the basket of plantains at your local market, hopefully you can find some straighter ones. Pick the straightest you can find. If they’re all curvy, don’t stress. 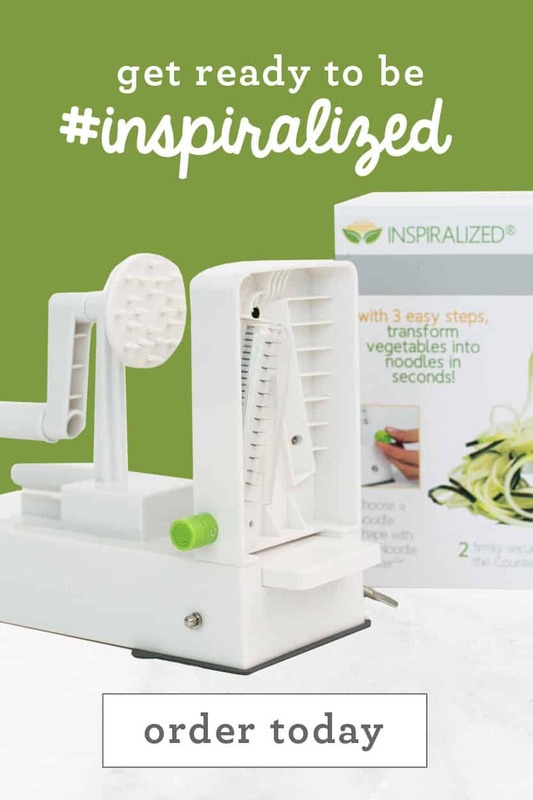 When you prepare it to spiralized, you may just have to readjust it on the spiralizer as you go (to realign it so that it doesn’t wobble). 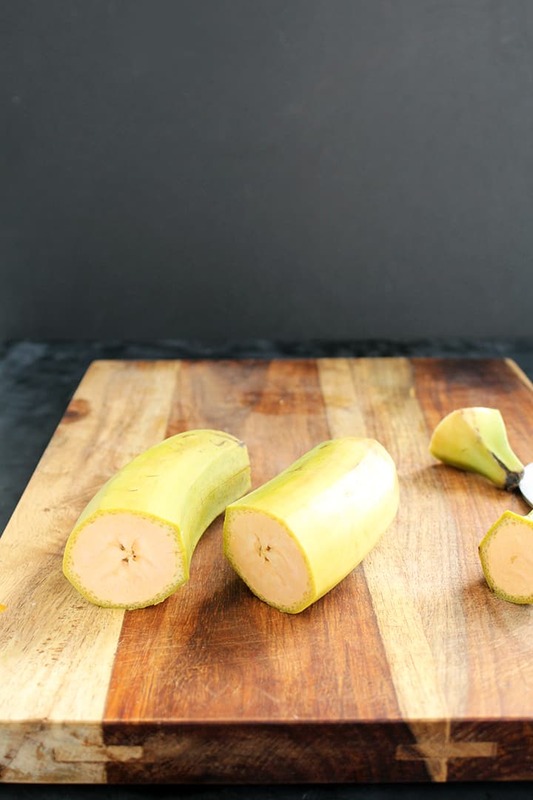 Start with a thick and straight plantain (as straight as you can find). 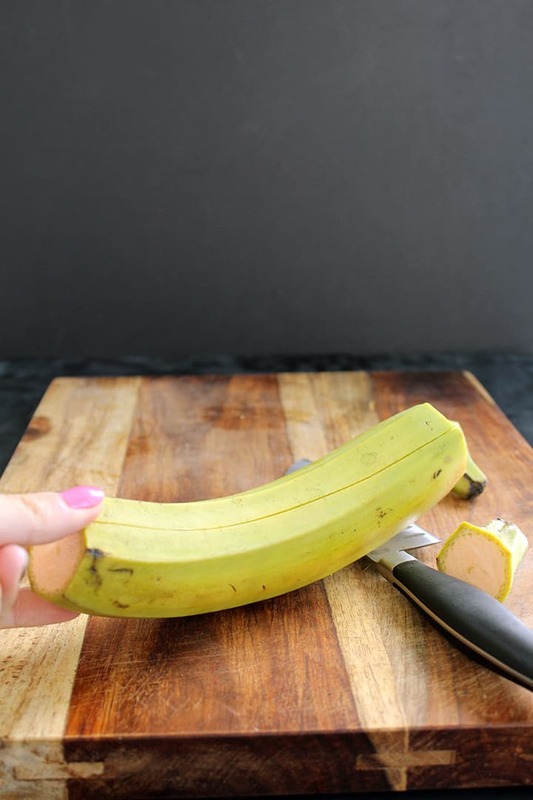 Slice the ends off of the plantain. Slice the plantain down the middle, lengthwise. Chop the plantain in half. Peel the plantain open, carefully. Remove all of the outer skin. 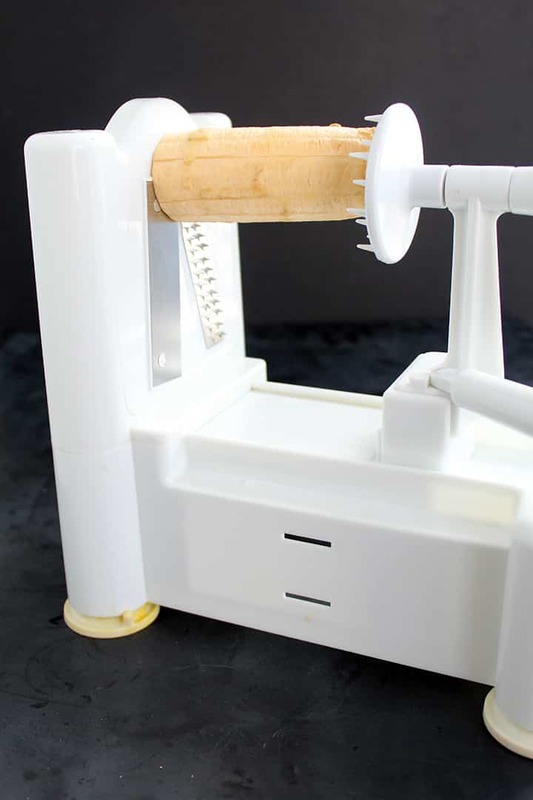 Load the plantain halves into the spiralizer. One plantain yields about 1.5 cups of spiralized noodles. 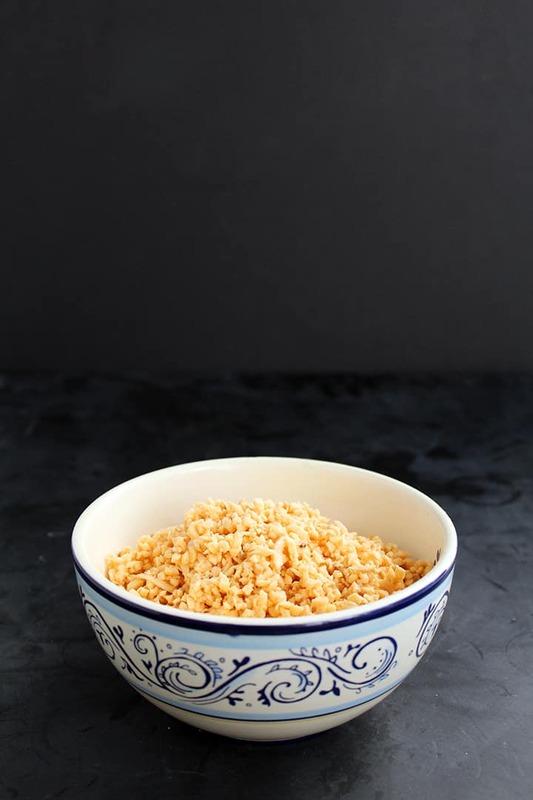 Place the noodles into a food processor and pulse until made into rice-like bits. Wow, that was easy. And look, we got a large cup of fluffy plantain rice. 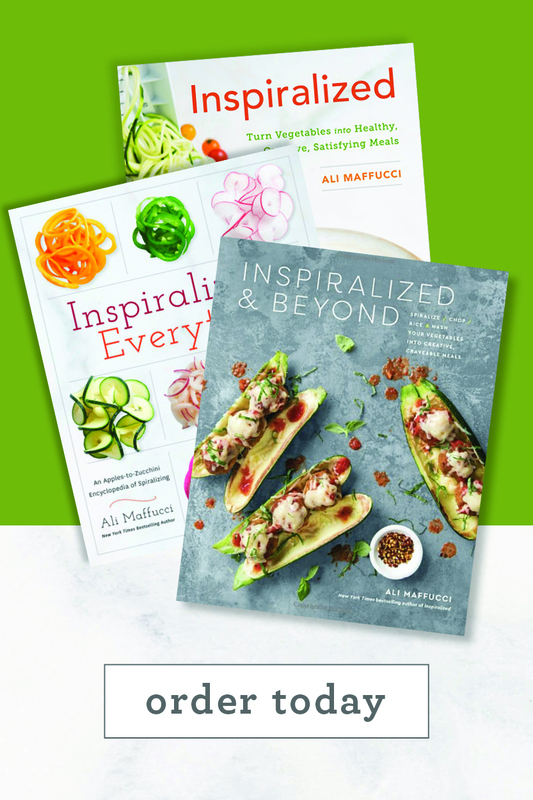 Gluten-free, paleo, vegetarian, vegan, and fun to cook with. 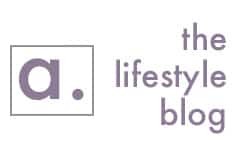 However, beware if you’re sticking to a low-carb diet or are diabetic, plantains are very high in carbohydrates. Just portion control. How do we cook the rice? Well, the plantains are very starchy, so the consistency is a bit stickier (kind of like sticky rice!) By cooking it with some chicken broth, we get an infusion of savory chicken flavor which also helps soften the plantains and cook them. 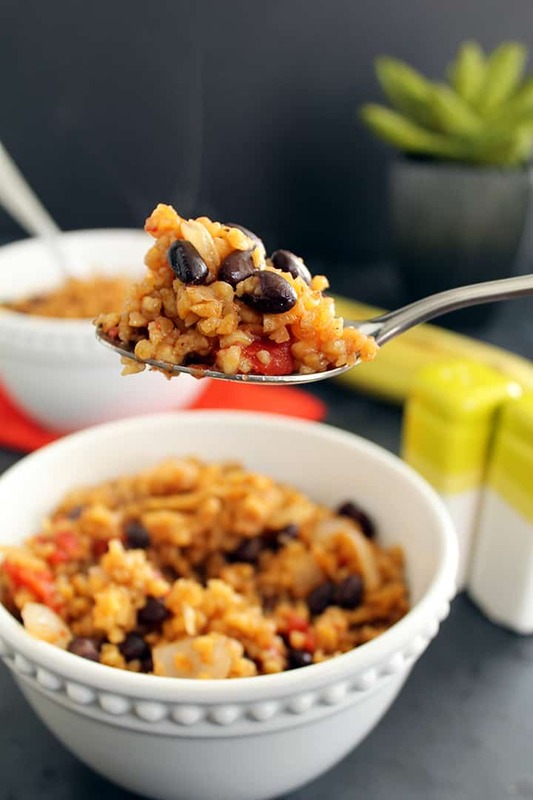 The rice is cooked with black beans, some Spanish spices and crushed tomatoes. 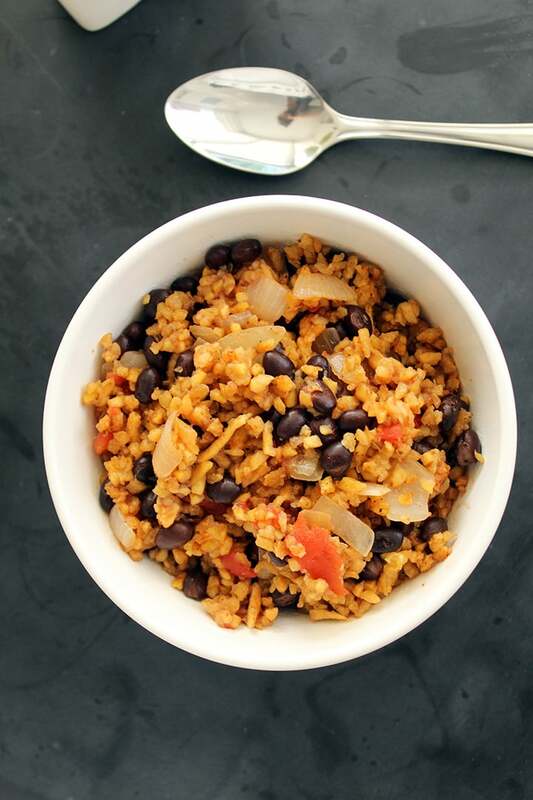 Simple, delectable and easy to save for leftovers. Take a smaller portion and serve it alongside some carnitas or some blackened cod or tilapia and you’ve got yourself an exotic meal without the exotic prices or foreign cooking techniques. Poor Lu, he would’ve loved this one. However, I’m already brainstorming other plantain rice options: meatballs, rice cakes, sushi and rice balls. Can’t wait! 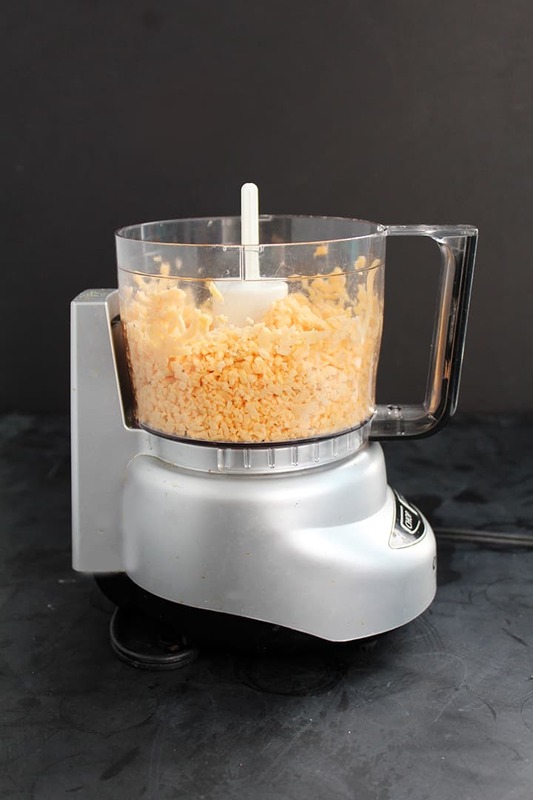 In batches, place your plantain noodles into a food processor and pulse until made into rice-like bits. Set aside. Place a large skillet or saucepan over medium heat. Add in your olive oil. Once the oil heats, add in the garlic and red pepper flakes. Cook for 30 seconds and then add in the onion. 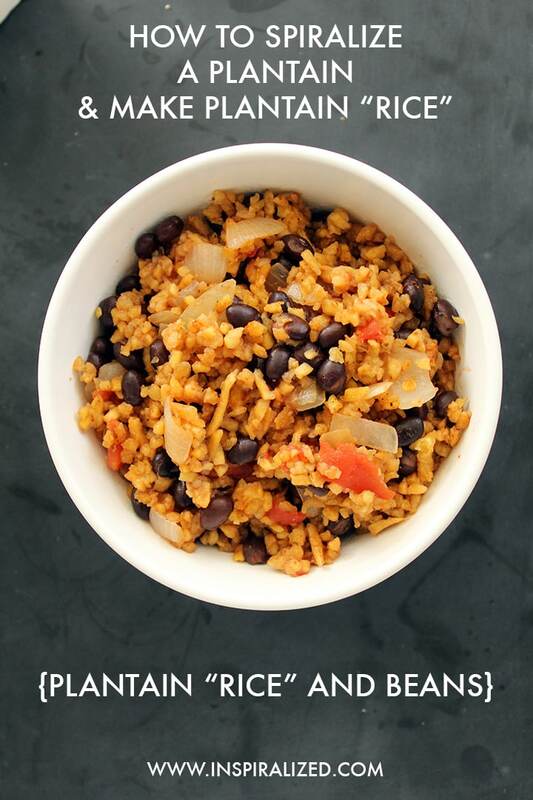 Cook for 2 minutes and then add in the plantain rice. Season with salt, pepper, chili powder, Adobo and cumin. Cook the plantains for about 2 minutes and then add in the chicken broth. Let fully reduce and then take the tomatoes from the can and crush them with your hands over the skillet and into the rice. Pour in half the juices from the can and discard the rest. Add in the black beans and cook for another 2-3 minutes. When done, divide into bowls and enjoy! SOO excited to try this one! I have been waiting for you to post since you shared with us the sneak peak on Instagram! So unique. I like plaintains so I know I would like this. 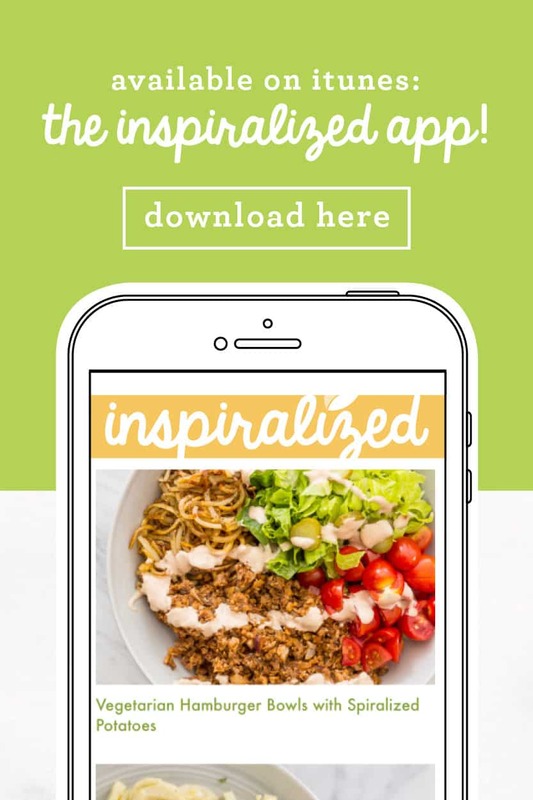 Love your creative recipes. 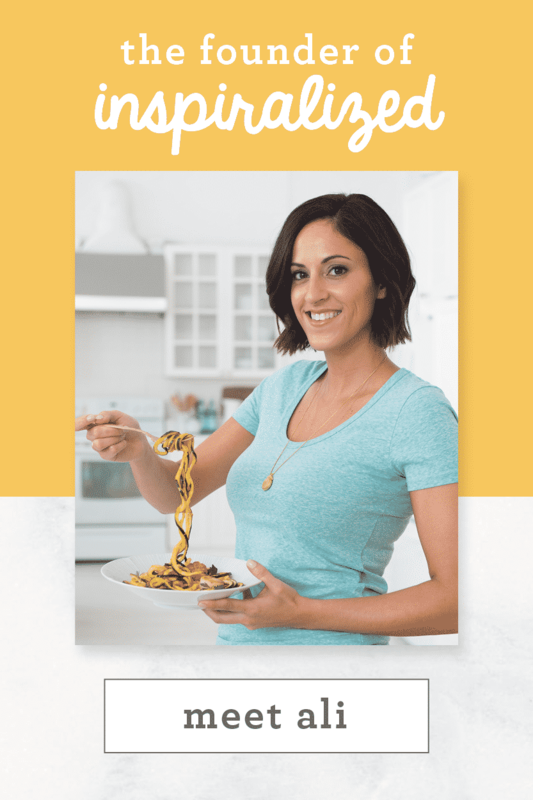 I am a BIG plantain fan, so I love the idea of spiralizing them! So much better to prepare them this way than to fry them, which is what I normally do! They are SO good fried though, Joanne! How fun! 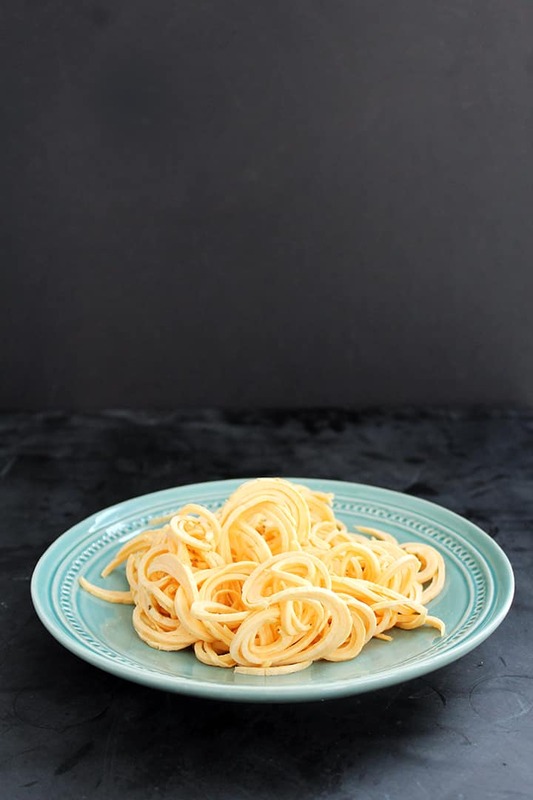 I've been thinking the past week or so of asking you if you'd ever spiralized a plantain, and now you've posted this great recipe. . .can't wait to try it! i tried this recipe last night and it didn't work! the plaintain barely spiralized and it turned to mush in the food processor. i cooked the mush per the recipe and then added breadcrumbs and baked in pattys, but i was disappointed that the rice didn't turn out. any thoughts? OMG - this looks like the most absolute perfect way to make a Paleo rice pudding (cauliflower was a spectacular fail)! I love that you're such a genius with this handy gadget. Thank you so much for the kind note! Rice pudding, I have that on my list! This is awesome!!!! Is there a way, you think, to make plantain spaghetti noodles??? or something for a mac and cheese?? I wonder if after spiralizing, they could be lightly oiled and steamed in a bamboo steamer or if they would still fall apart!!! My next project!!!! Aw, thank you! Glad you like the recipe. I made this 2 weeks ago, and I thought it was good. I made it again tonight, but used carrots instead of plantains, and I liked it even more! 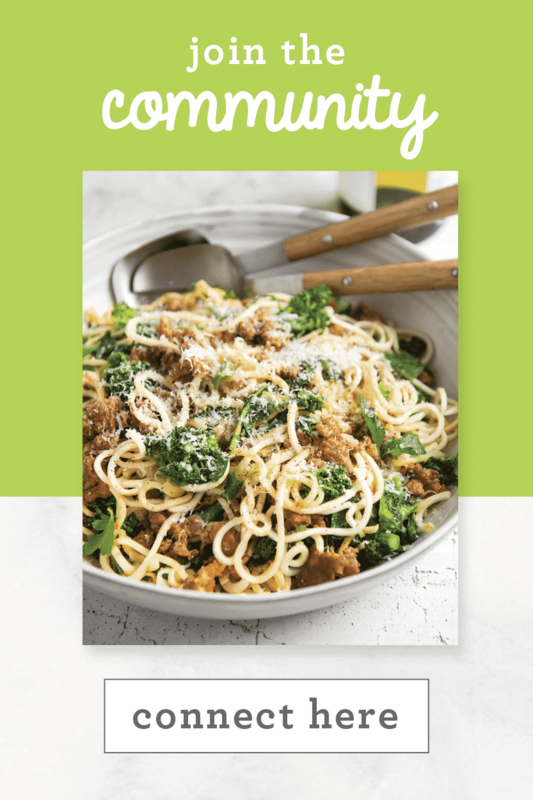 I would like to do this recipe but I do not have a spiralizer. 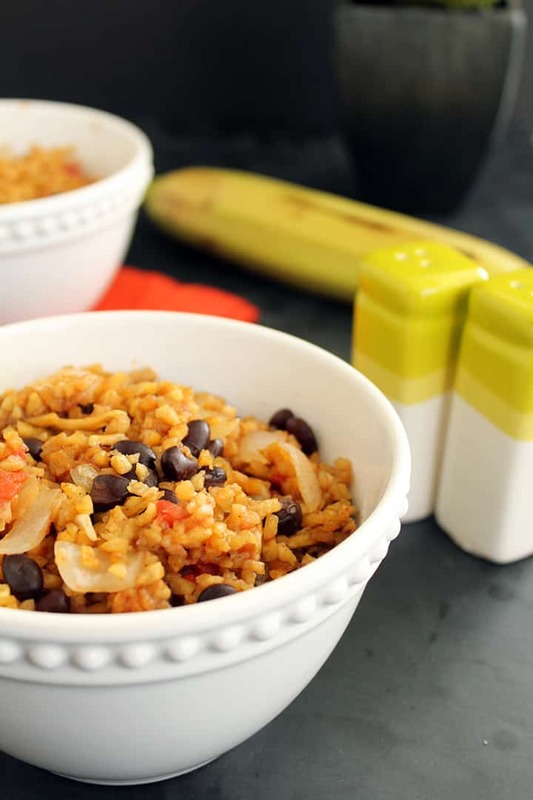 Is there another way to turn plantains into a rice like texture? Michelle - you can try to dice up the plantain and put it in a food processor, it will get a similar texture! However, what are you waiting for???? 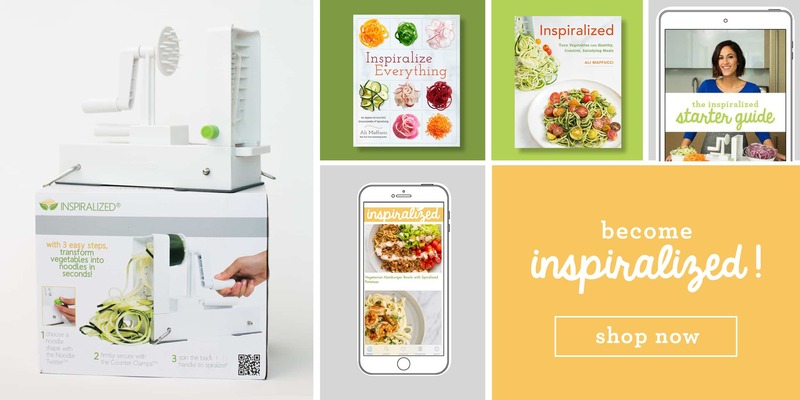 Get a spiralizer! 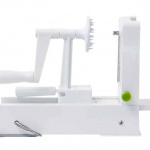 Have you tried grating the plantain with the cheese grater attachment on a food processor? 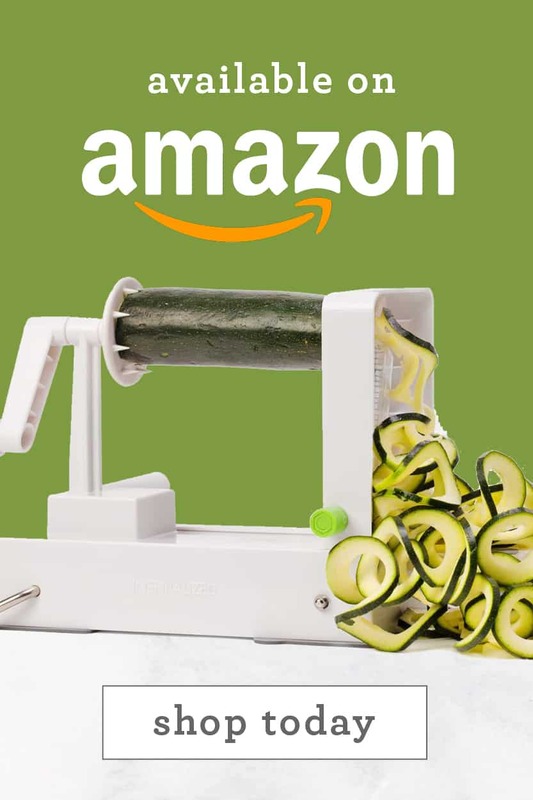 I wonder if it would produce rice grains without the step of spiralizing... Hmmm I might have to experiment. 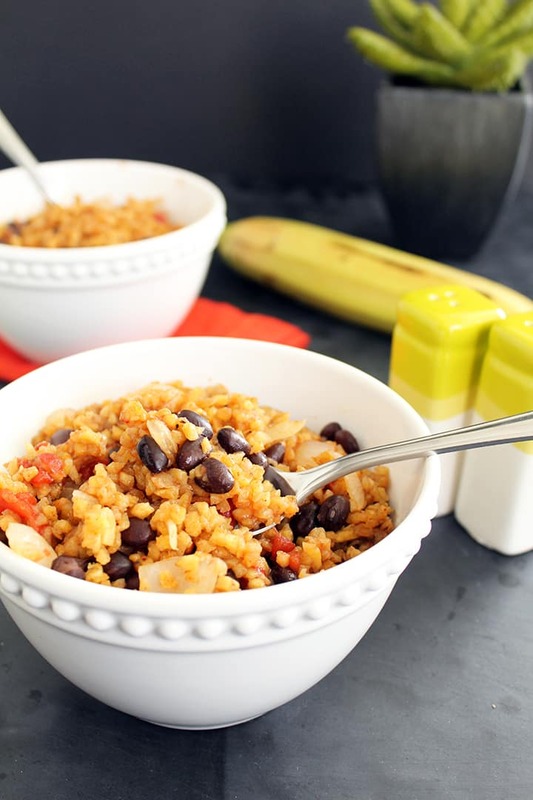 I LOVE rice and beans Caribbean style, and I love plantains, can't wait to try this recipe! Thank you!! 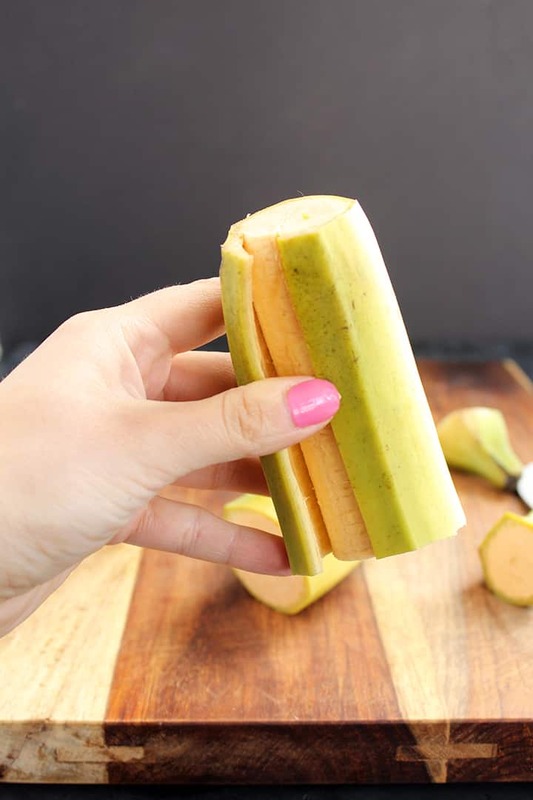 Do you think you could spiralize/process the plantain and freeze? I wonder if doing this will negatively effect the consistency. I've frozen bananas many times but I generally blend those afterwards so texture isn't an issue then. I'd love to make a large batch up at the beginning of the month and freeze in dinner sized portions to help save time. Made this last night and brought it to work today for lunch. It reheated well. Love the flavors and the texture of this dish. I had some trouble spiralizing the plantains, but I think that's because they weren't green enough.